From science-fiction sagas to neo-Westerns to superhero epics to back-to-basics action, 2017 had plenty to offer at the movies. This list of the pick of the year is based only on South African cinematic releases for 2017 and excludes films that have not yet been released here. Looper director Rian Johnson takes charge of the second film in the new Star Wars trilogy, bringing a surprisingly individualistic touch to one of the world’s largest franchises. Picking up where The Force Awakens left off, The Last Jedi sees jedi-ling Rey (Daisy Ridley) seek help and training from Luke Skywalker (a wizened Mark Hamill), while Kylo Ren (Adam Driver) and Snoke (Andy Serkis) try to seize control of the galaxy. Johnson isn’t afraid to play with and subvert audience expectations, within the constraints of the Star Wars house style. That makes for a film that offers a few more surprises than The Force Awakens, which felt like a cover version of the original trilogy. Some of the humour is a bit cheesy (that’s a Star Wars thing, to be fair), Ridley is too earnest (also a Star Wars thing) and John Boyega isn’t given much to do. But the action is predictably fantastic and there are many moments of cosmic awe. 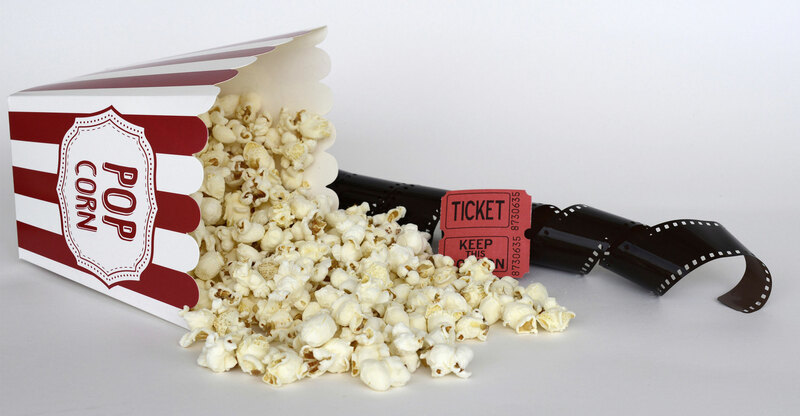 This is just about as good as flashy popcorn movies get. Audiences don’t appear to be getting tired of superhero films quite yet, and 2017 delivered plenty of enjoyable examples of the genre — Logan, Wonder Woman, Guardians of the Galaxy Vol. 2 and Spider-Man Homecoming to name a few. But Thor Ragnarok stands out in a crowded field, thanks to bold direction from Taika Waititi, the New Zealand director of Hunt for the Wilderpeople. Powered by a thundering hard-rock soundtrack, the psychedelic Ragnarok has a look ripped from the pages of a Jack Kirby comic and the cover of a 1970s heavy metal album. Chris Hemsworth, Tom Hiddleston and Cate Blanchett enjoy themselves with the frequently funny dialogue, and Jeff Goldblum steals every scene in which he appears. Plus, Ragnarok features the best cinematic realisation of the Hulk (Mark Ruffalo) we have seen to date. There are some great superhero showdowns and throwdowns, and the film sustains its buoyant energy and good humour from start to finish. Director Tom Ford channels Mulholland Drive and Map to the Stars in a strange and divisive romantic thriller that switches between the real world of a Los Angeles gallery owner (played by Amy Adams) and the savage events that unfold in a novel by her ex-husband (Jake Gyllenhaal). Anchored by great performances and Ford’s distinctive visual style, it’s a dark, intriguing exploration of art, cruelty and desire. Edgar Wright’s Baby Driver is a sleek, high-octane tribute to heist cinema greats like Bullitt, The Driver, Heat and To Live & Die in L.A. Ansel Elgort plays a smart-mouthed, baby-faced speed demon who drives getaway vehicles for heist crews. He is surrounded by a memorable assortment of blockheads, psychopaths and nutcases, played with gusto by the likes of Kevin Spacey, Jamie Foxx and Jon Hamm. The car chases and gunfights — masterful editing matching gunshots to drumbeats and foot-down acceleration to quickening tempos — are scored to a fantastic soundtrack that spans from Blur to Golden Earring to The Commodores. Making minimal use of CGI, Baby Driver delivers some of the most thrilling action scenes of the year, plus there’s plenty of Wright’s droll humour to go around. 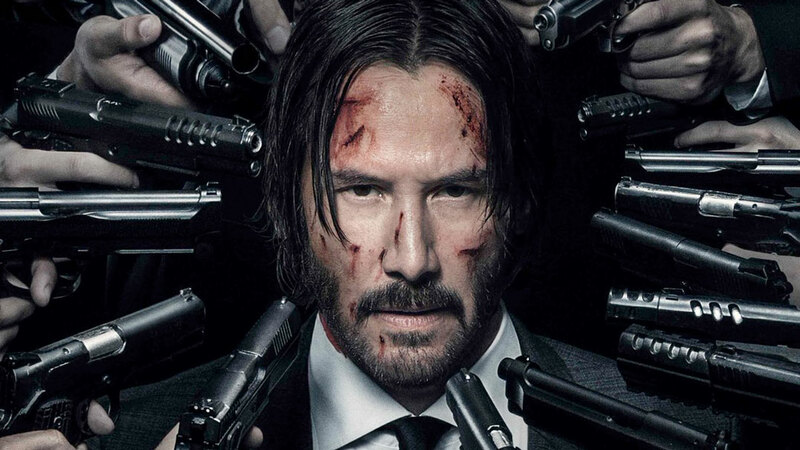 Keanu Reeves returns as the taciturn assassin in a sequel to the 2014 surprise hit about the lengths to which a man will go to avenge his dead puppy. John Wick: Chapter 2 amplifies everything that the made the first film great — the bloody but balletic action sequences, the deadpan humour, the elegant mise en scène, the outrageous villains — and cements John Wick’s place as one of the greatest action heroes of the past 10 years. Clad in the iconic black suit, Reeves brings grit and commitment to the fight sequences and focused rage to the dialogue. 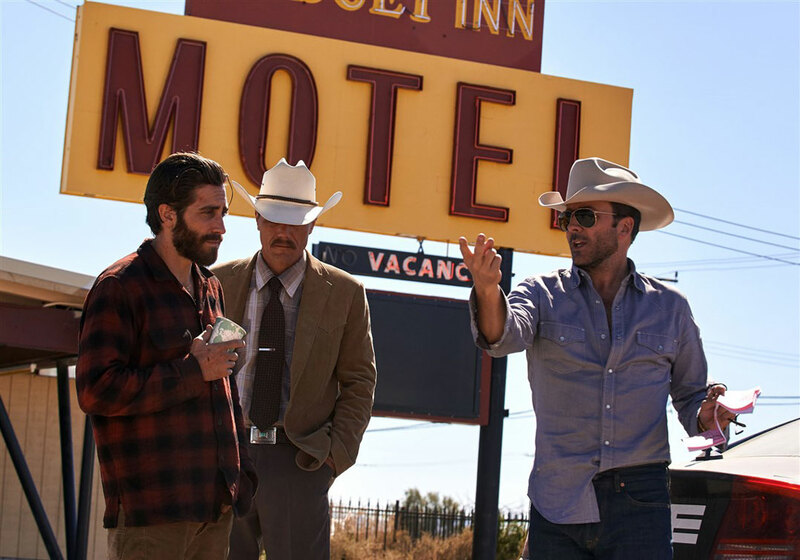 Former stuntman Chad Stahelski directs the stylised violence with panache. There’s a mythic dimension to the film that sets it apart from the run-of-the-mill noir actioner. Like John Woo at his best, this is blood opera for the connoisseur. 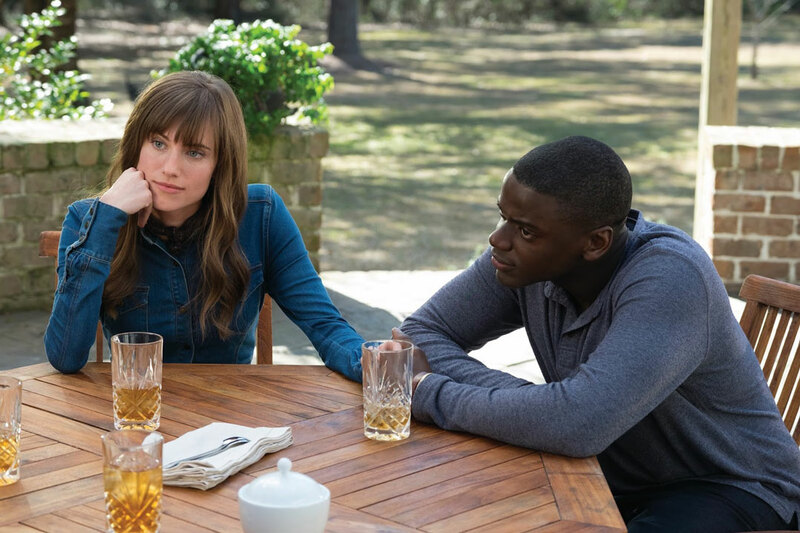 Inspired by The Stepford Wives — the classic novel and film about spookily submissive wives — Get Out is a timely, lacerating and discomforting satire about race relations in the US. Writer and director Jordan Peele walks a careful line between the slow-burning tension of a psychological horror film and the uncomfortable laughs of a dark comedy in his feature film debut. It’s at once an effectively creepy genre movie and a sharply observed allegory. Sicario and Hell or Highwater writer Taylor Sheridan directs his own script about as a US wildlife tracker (Jeremy Renner) and an FBI agent (Elizabeth Olsen) trying to solve a murder on the Wind River Indian Reservation. Wind River is a sparse, tough tale of survival at the fringes of society that rounds off what Sheridan describes as a neo-Western trilogy. Some of the dialogue is a little ropey, but the skilful performances and the evocation of a bleak, unforgiving winter landscape elevate the film into something special. Christopher Nolan’s chronical of the Dunkirk evacuation finds terror and beauty amid the flames of war. It’s more a sensory experience than a conventional narrative film, immersing the viewer in the desperate fight for survival in the converging stories of a rescue craft sailing from England, a dogfight between the Royal Airforce and the Luftwaffe, and the ordeal of a group of British soldiers trapped on the beach. It’s curiously bereft of rounded characters or subtext — despite the fact that the likes of Nigel Farage have seized upon it as an allegory for plucky Brits fleeing the EU superstate — but the filmcraft is sublime. Director Denis Villeneuve puts his distinctive stamp on the Blade Runner reboot, while still respecting the integrity of the original. Blade Runner 2049 is one of the most technically dazzling films of the year, with mesmerising cinematography from Roger Deakins and sumptuous production design from Dennis Gassner. The film leans heavily on impressive practical, in-camera effects, each frame looking like it should hang in a gallery. Blade Runner 2049 is an ambitious film about big themes like how memory shapes motivation, how action defines character and what separates real consciousness from something that merely resembles it. Rather than upping the action, Villeneuve makes a sequel that is even slower and more meditative than the original. It’s a fascinating film that will inspire discussion for decades to come — just like Blade Runner. War brings the Planet of the Apes reboot to a majestic and poignant conclusion, ensuring its place among the greatest blockbuster trilogies of all time. Caesar — the wise and compassionate leader of the apes — finally fulfils his destiny as a chimp Moses leading his people to the promised land. The film is a technical marvel, using cutting-edge CGI and motion-capture to bring its apes to life, and it’s astonishing to see how far the tech has come since Rise of the Planet of the Apes in 2011. Andy Serkis’s motion-captured performance as Caesar has also improved exponentially with each film. Beyond the impressive effects and eye-popping set pieces, War is smart, poetic blockbuster filmmaking with plenty of heart and rich thematic subtext. 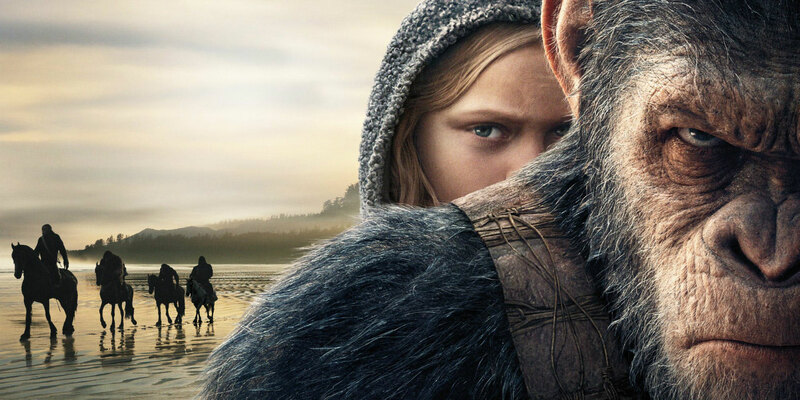 Director Matt Reeves elevates the stakes in the contest for supremacy between the humans and the apes, ending the trilogy on a satisfying and epic note. Atomic Blonde: Atomic Blonde is John Wick rewritten as a John le Carre pastiche and then filmed as a neon-drenched 1980s music video. As silly as the plot gets, it’s fun to watch a Stoli-slugging, chain-smoking Charlize Theron rampage through 1989 Berlin. The Big Sick: Kumail Nanjiani (Silicon Valley) stars in a film he wrote with his wife, Emily Gordon, about their awkward cross-cultural courtship. It’s funny, heartfelt and sincere. Coco: Pixar’s colourful love letter to Mexican folklore is amusing, thoughtful and full of emotional resonance; it’s also one of the best-looking films the celebrated studio has ever made. mother! : Darren Aronofsky’s outré psychological thriller with Jennifer Lawrence and Javier Bardem splits audiences right down the middle: there are those that think it’s a pretentious quagmire and a few who see it as a bold provocation. It’s a glorious mess, bound for cult status. Logan Lucky: Steven Soderbergh comes out of retirement with a humorous and economically paced redneck Ocean’s 11. Daniel Craig, Adam Driver and Channing Tatum are excellent as a hare-brained crew that plans to rob a Nascar circuit. Logan: The Wolverine: Starring an intense Hugh Jackman as a broken Wolverine nearing the end of his life, Logan is a gritty, elegiac superhero film that brings to mind The Road and Unforgiven. Silence: Martin Scorsese’s beautifully crafted film about the trials of Catholic missionaries in 17th century Japan is a complex, powerful exploration of faith and devotion. Spider-Man: Homecoming: The likeable Tom Holland — the third actor to play Spidey in 15 years — butts heads with a grizzled Michael Keaton in the joyous Homecoming. The best Spidey film since Spider-Man 2. T2 Trainspotting: The sequel to Trainspotting remixes memories of the cult classic into a potent shot of reminiscence for Generation-Xers. Wind River and Dunkirk were both brilliant, that was the extent of my movie watching this year. Wind River was an excellent thriller, beautiful scenery and a good story.